I’ve seen it firsthand. Every Monday morning, our office in Boston has been filled with discussions around Tom Brady’s performance from the day before and predictions about how much more time he can play at such a high level. I have little doubt that similar debates could be heard in workplaces throughout the country. From Kansas City to New Orleans to Los Angeles, folks are preoccupied with their team — staying updated on the latest roster moves and organizing watch parties and tailgates. According to a recent Kimble survey, which looked into sports fanaticism in the workplace, more than a third of U.S. employees admit to participating in fantasy sports competitions during work hours. 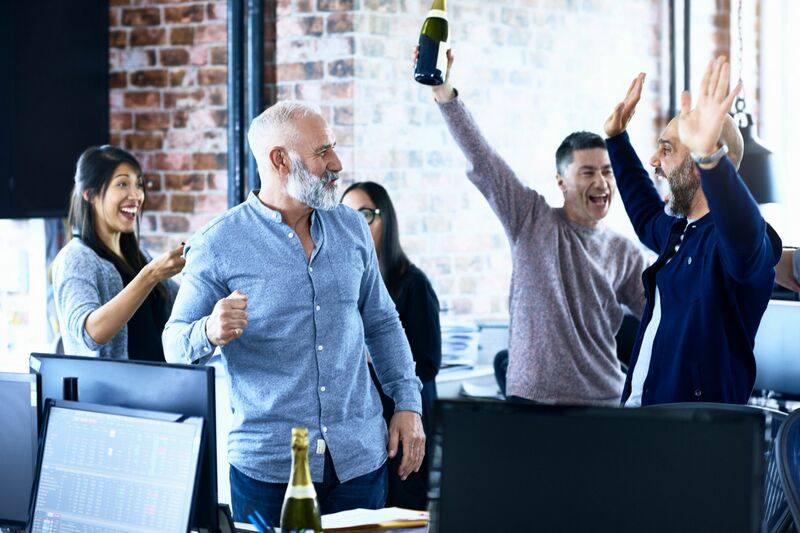 The Business Playbook Report also found that sports-related activities in the office can lead to improved morale for employees, as when the game is on, spirits tend to be higher — that is, when your team is in the lead, of course. Fifty-four percent of survey respondents said participating in fantasy or March Madness competitions at work had a positive impact on company culture and engagement in the office. With this in mind, many corporate cultures lean towards including something fun during big sports seasons to keep employees engaged and excited. In relation to productivity, this is often where we see a downfall. People have even been known to suddenly call out sick after a major sports event — 17 percent to be exact — and many more have considered doing the same. Some workplaces are more lenient than others, and the office culture can tell a lot about what is expected when it comes to office activities.